Need new boots? 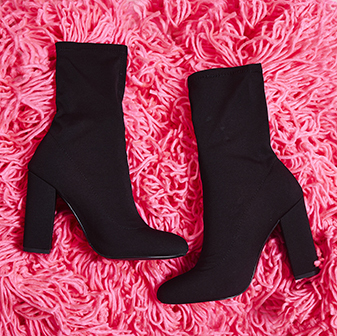 Whatever the season, style or occasion; boots are always an essential. Whether you're rocking a pair of detailed lace up ankle boots, or a pair of thigh-high stiletto long boots; you're gonna look fierce AF. We're keeping our boot section bang on trend with new season updates on sock boots, perspex boots, chelsea boot, biker boots and over the knee boots. 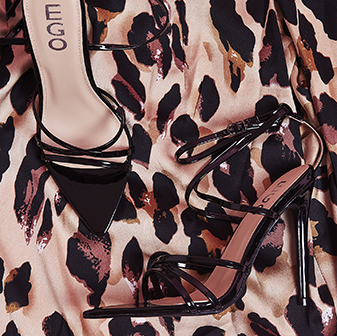 With different toe shapes seriously hot right now, are you game for a point or a peep toe? Fabrics, textures and detailing are things you wanna focus on too. So whether you're feeling like rocking metallic boots, studded detailing or brightly coloured lycra sock boots; there's something for every style.